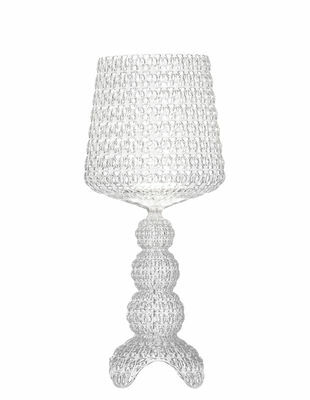 Seductive and feminine, this lamp with its sensual curves is dressed in lace from head to toe ! 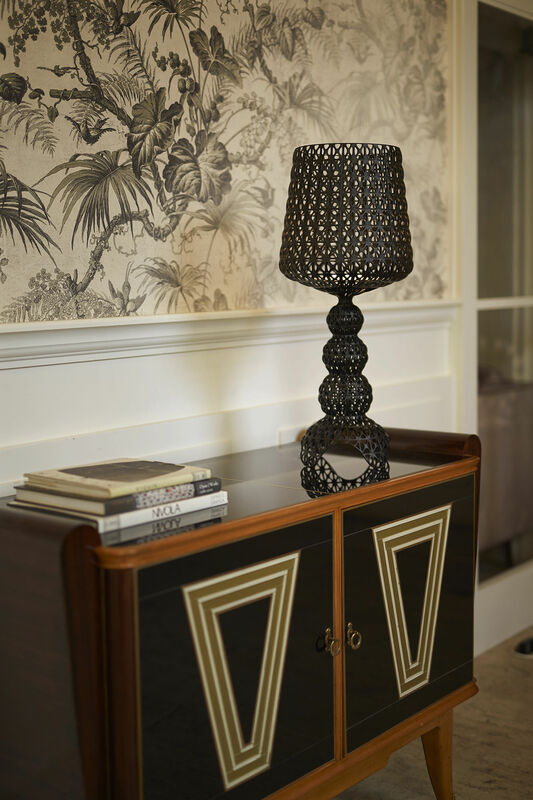 Boasting carefully worked, sophisticated shapes, the Kabuki floor lamp is designed in a baroque style that’s been updated using perforated plastic material. 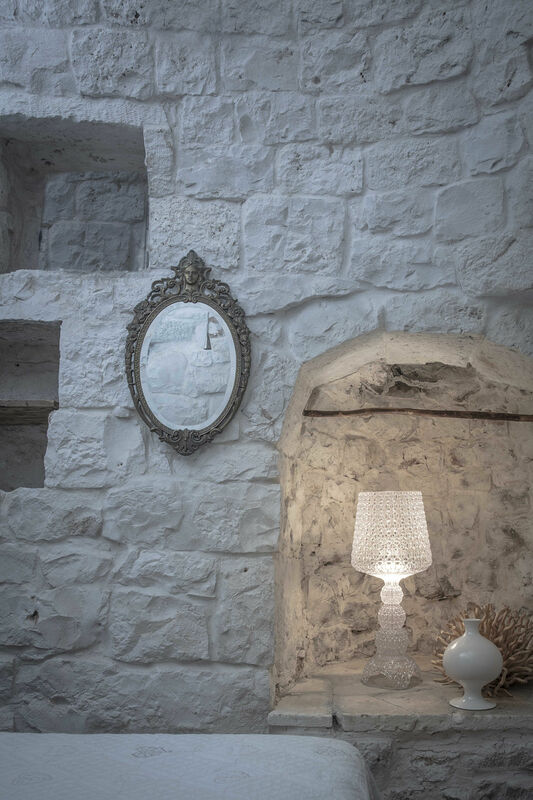 A gem-like fishnet with delicate patterns playing with transparency and light and creating superb shadows. 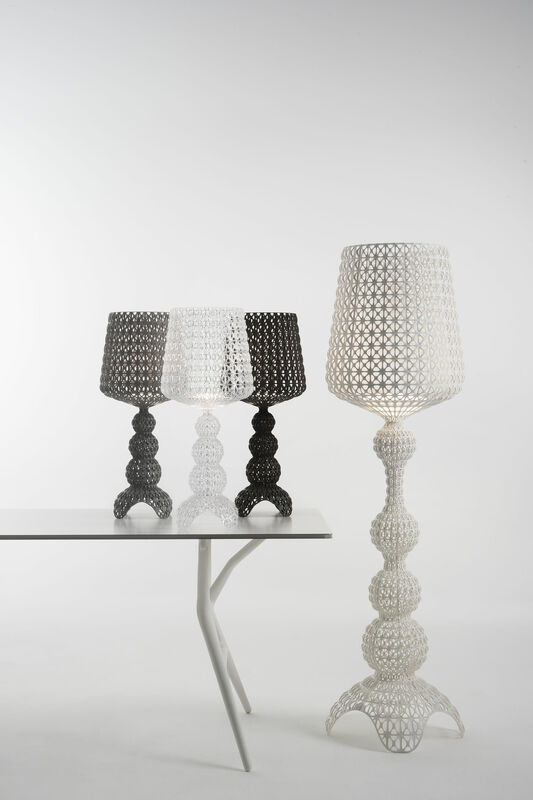 Despite its massive lines, the Kabuki silhouette is ethereal, light and delicate, almost impalpable. Its fine patterns and rich interlacing are achieved using a complex industrial process reminiscent of the traditional crochet technique. 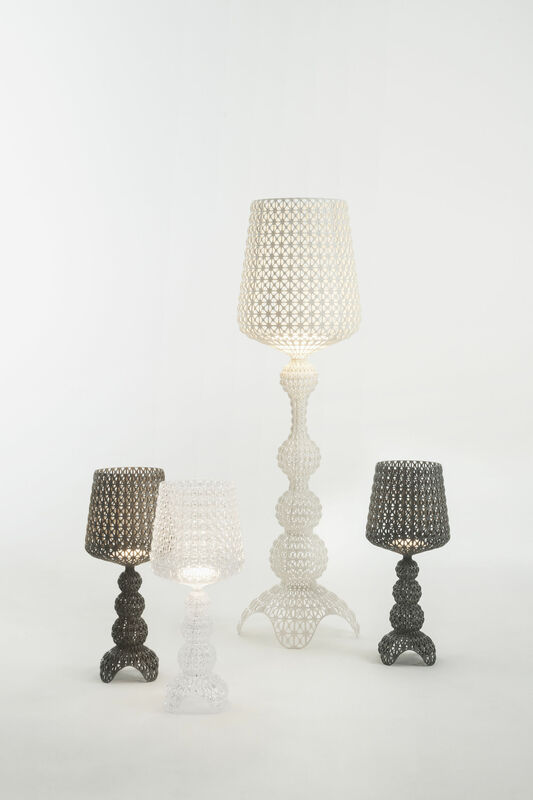 Kabuki shows off plastic in a new, totally innovative and unique light! The complexity of the work gives it a gem-like, “hand-crafted” feel.